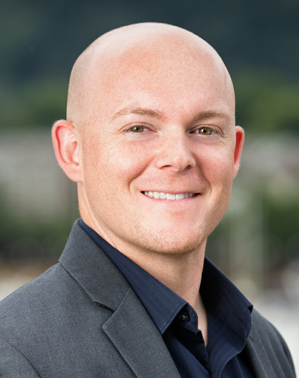 Born and raised in Portland, Oregon, Andy Harris is a nationally recognized Mortgage Professional who started his career back in 2002 after spending several years showing interest in real estate and finance. Andy’s prior experience in business management and client relations brought him success his first year becoming the highest annual producing Loan Officer in the Western Region. 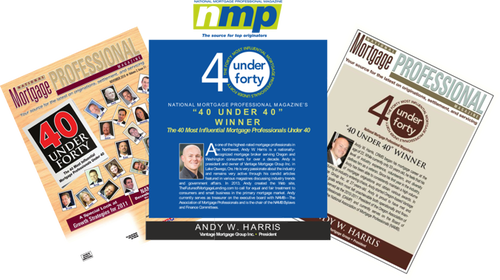 Andy earned many awards as a young Mortgage Professional including the President’s Million Dollar Club and Leadership Council for Outstanding Achievement. From the impact Andy made over the years and positive response from clients and colleagues, Vantage Mortgage Group was created. Headquartered in Lake Oswego, Oregon, Vantage Mortgage Group is structured by strong systems, compliance, and the ethical standards Andy and his partners have been known to uphold. With the recent lending and economic changes, Andy knows it’s extremely important to be up-to-date with every detail and continue to be a trusted adviser to his clients. Vantage Mortgage Group was established with a clear vision and position in this ever-changing and misunderstood industry. Andy was the 2010-2012 President for the Oregon Association of Mortgage Professionals and later transitioned to the national level with NAMB, the Association of Mortgage Professionals. Andy served on the Executive Board with NAMB and held position as Treasurer of the Association and Chair of the Finance Committee. For several years, Andy has traveled to Washington DC to meet with our State Representatives and Senators along with Federal regulators as a voice for the mortgage industry. He is best known for his outspoken articles written in various national publications on important and relevant industry topics that affect the consumer, as well as monthly motivational and business-building articles for the industry. Prior to the mortgage industry Andy was a Personal Trainer and Operations Manager for a large fitness corporation and also a competitive bodybuilder. In 2000, Andy took 1st place in his division at the NPC Northwest Bodybuilding Championships at the Portland Art Museum. Andy currently lives in West Linn, OR with his wife Janel and two daughters, Halle and Kaelynn. In his spare time Andy enjoys spending time with family, hiking, camping, biking, snowboarding, weight lifting/fitness, and other activities. – NAMB, the Association of Mortgage Professionals 2012 Mortgage Professional of the Year Finalist. – Chosen as Mortgage Professional America Magazine’s Hot 100 – the national power players that shake up the industry and change the way originators do business. – 2004 Leadership Council for Outstanding Achievement- Atlantis, SCI Services, Inc.
– 2003 President’s Million Dollar Club, SCI Services, Inc.
– Author of “The Elite Performer” featured in National Mortgage Professional Magazine.